CHARLESTON, S.C. -- Jurors have reached a verdict in the trial of Dylann Roof, who is charged with killing nine black worshipers in a South Carolina church. About an hour into their deliberations on Thursday, the jury said it wanted to rehear part of Dylann Roof’s videotaped confession. It sent a note to U.S. District Judge Richard Gergel asking to listen again to Roof being questioned and talking about how many people he might have killed. Roof told FBI agents he killed about five people, and was later surprised when the agents told him nine people were shot and killed in June 2015 at Emanuel African Methodist Episcopal church. Gergel decided to set up the two-hour confession where jurors could watch as much or as little as they wanted to. The court was once again at ease mid-Thursday afternoon after being briefly back in session due to the jury’s request, CBS Charleston affiliate WCSC reported. The jury’s decision in the case - in which Roof faces 33 federal charges including hate crimes and obstruction of religion - must be unanimous. If Roof is convicted, the same panel will reconvene Jan. 3 to begin considering if he should be sentenced to death or life in prison. 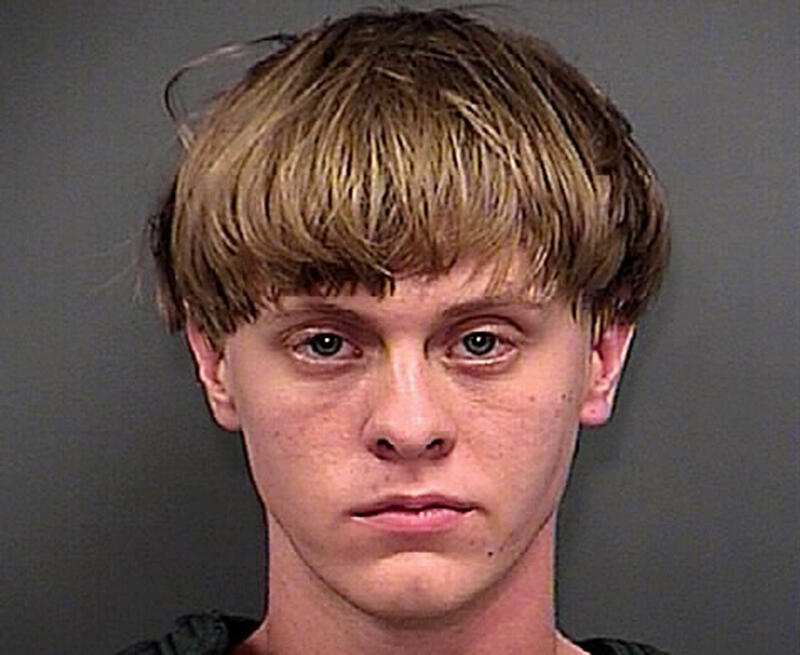 The jury, made up of nine whites and three blacks, heard from witnesses who testified Roof made multiple trips to Charleston in the months before the June 2015 attack at Emanuel AME Church. They also heard from two survivors. Dylann Roof’s lawyer has asked jurors to consider what was going on in his head as he planned the killings of the nine worshipers. Defense attorney David Bruck conceded in his closing argument Thursday that Roof killed the victims and even praised the FBI investigation. But Bruck also argued Roof was a suicidal, impressionable loner who never grasped the gravity of what he did. The defense put up no witnesses. They tried to present evidence about his mental state, but the judge ruled it didn’t have anything to do with his guilt or innocence. A prosecutor said Thursday that Roof was full of hate and “immense racial ignorance” when he carried out the attack in Charleston. In his closing argument, assistant U.S. Attorney Nathan Williams mocked Roof for calling himself brave in his racist-filled journal and his confession to the FBI, saying the real bravery came from the victims who tried to stop him as he fired 77 bullets at Emanuel African Methodist Episcopal church. “Those people couldn’t see the hatred in his heart any more than they could see the .45-caliber handgun and the eight magazines concealed around his waist,” Williams said. Williams’ 50-minute closing argument filled the court with tension. At times, the prosecutor raised his voice, saying Roof was a cold, calculated killer. The church should be a place of safety, the government argued. It should be a place where Rev. Clementa Pinckney, a victim of the shooting, could bring his daughter, and where Felicia Sanders, a survivor, could bring his granddaughter. Some family members of victims dabbed their eyes with tissues, and jurors appeared emotional when Williams, after apologizing to them, showed crime scene photos of each person killed alongside a small picture of them while alive. Those pictures included 26-year-old Tywanza Sanders, who was killed with his 87-year-old aunt Susie Jackson. Sanders was shot despite telling Roof they meant no harm. Williams said Roof’s message of racial hatred failed. Instead, he said the good of all of those faithful churchgoers won out. “This defendant chose to take their lives. He chose to break their bodies. But he does not get to choose who they were,” Williams said. Roof said in his confession, a journal found in his car and a statement he posted online that he wanted his killings to lead to a return of segregation or perhaps a race war. Instead, the single biggest change to come from the June 17, 2015, killings was the removal of the Confederate flag from in front of the South Carolina Statehouse after it spent 50 years flying over the capitol or on its grounds. Williams recounted other evidence, like how Roof sat in the Emanuel AME parking lot for 28 minutes in his car, likely loading the 88 bullets - a number embraced symbolically by racists - into eight magazines. The 22-year-old white man then sat in the prayer service for nearly 45 minutes before opening fire as the worshippers closed their eyes for the final prayer. In the defense’s closing argument, Bruck said Roof was just imitating what he saw on the internet. Roof’s mental problems led him to accept all the racist lies he read as truth, and give his life to “a fight to the death between white people and black people that only he” could see and act on, Bruck said. Prosecutors successfully objected several times to Bruck’s arguments about Roof’s mental health. U.S. District Judge Richard Gergel has ruled that is only permissible in the penalty phase, and Roof has said he intends to get rid of Bruck and be his own lawyer again during that part of the trial. Prosecutors got a chance to respond to Bruck’s closing, and assistant U.S. attorney Stephen Curran pointed out Roof was responsible for his own actions no matter the reason he turned into a hate-filled killer. Roof never had any regrets, sticking to his assertion that the killings had to happen after he researched “black on white crime” on the internet. He said he chose a church because that setting posed little danger to him. Also placed into evidence were dozens of photographs of Roof - a strange travelogue of him alone at South Carolina sites important to the Civil War or African-American history. There also were photos of him holding the Confederate flag.